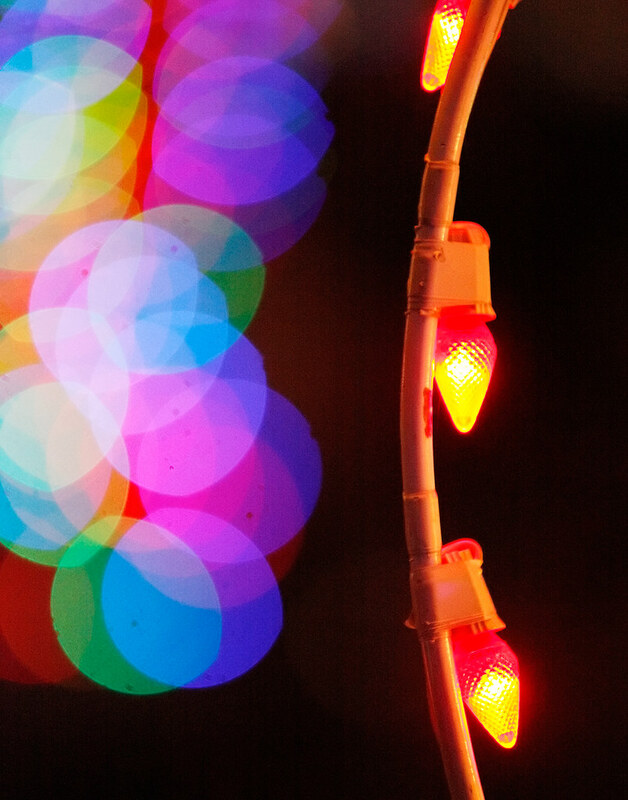 Every year, one of the county parks hosts Christmas Magic — a half-mile trail of Christmas lights, music, food and entertainment — from the Friday after Thanksgiving through New Year’s Eve. I’d known about the event since last November, when I was offered the York Dispatch internship, looked up the paper’s front page and saw a Christmas Magic photo. So I was excited to be assigned to make pictures there this year for The Daily Record. Unfortunately, photographing Christmas lights in a functional, easy-to-read-on-newsprint way is a lot more difficult than I had remembered. © 2011 by The York Daily Record/Sunday News. 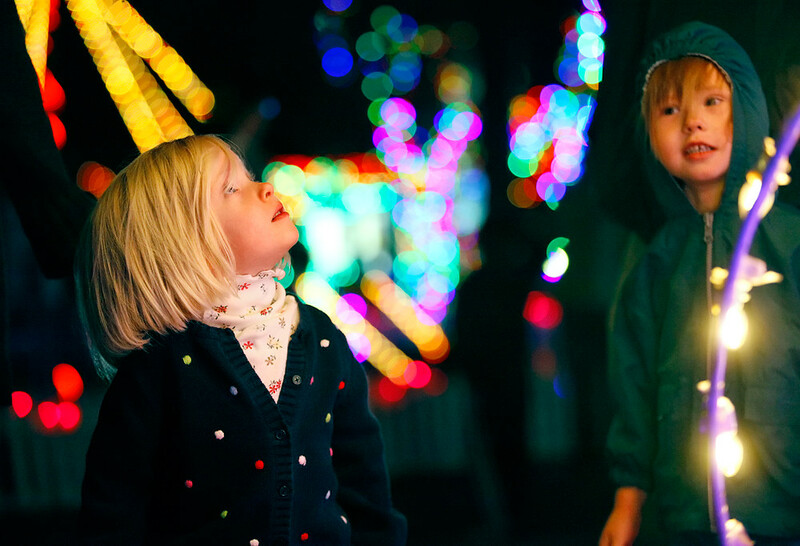 (Left to right) Djuna Plumb, 3 of Lancaster, and Quinn MacBride, 4 of Alexandria, Va., wander through the Christmas Magic lights display on Saturday, Nov. 26, 2011, at Rocky Ridge County Park. Unlike other holiday light displays, Christmas Magic features predominantly figurines — whose figures can be hard to capture in a camera. I quickly figured out that the trick is to use a wide lens in those rare cases when you can distinguish the shapes formed by the lights, and to use a long lens for people photos so all the lights in the background are out of focus. But it’s not even that simple. People don’t stop to admire the light displays at Christmas Magic. They keep moving along the trail. And if it’s dark and the lights are all spread out enough (which they were)… well, you gotta be fast if you want to catch a candid, genuine “people” moment. © 2011 by The York Daily Record/Sunday News. 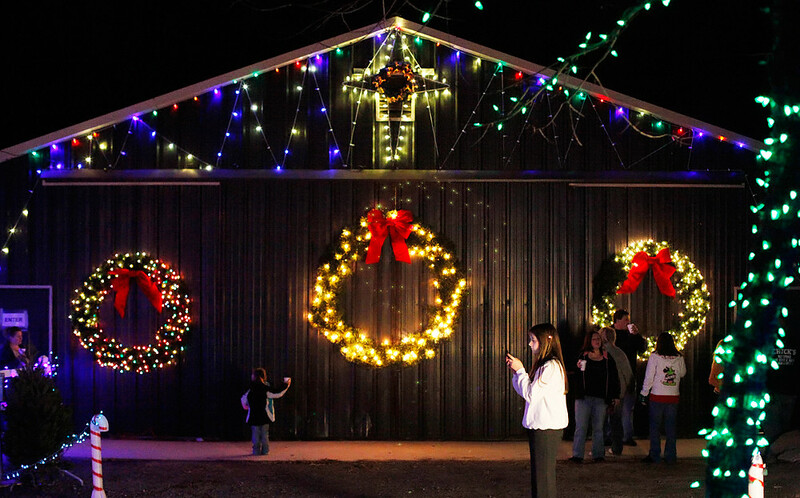 The Christmas Magic lights display is up for its 28th season at Rocky Ridge County Park, from Nov. 25 through Dec. 31. This year's display features 500,000 lights on its half-mile trail, as well as heated indoor areas for refreshments and other attractions. It was tough. I had to walk the trail twice before I felt confident I had enough pictures. But it all worked out. © 2011 by The York Daily Record/Sunday News. Gillian Sipe, 13 of New Freedom, checks her phone while waiting to perform as a member of the Trinity Bells choir at the Christmas Magic lights attraction on Saturday, Nov. 26, 2011, at Rocky Ridge County Park.